People are not the only ones drawn to this beauty... Our archipelago is also a home to many wonderful animal species that have been living alongside us for centuries. These include magnificent, endangered and protected creatures such as griffon vultures, geckos and wild dolphins that chose this natural heaven as their permanent home. In the 19th century, local sailors and captains planted thousands of exotic plants and medicinal herbs collected from their voyages. As a result, Lošinj became one of the most desired holiday destinations for Austro–Hungarian aristocracy of whom built numerous villas and mansions on the island. In 1892 the Austrian-Hungarian Monarchy’s Ministry of Health proclaimed the island of Lošinj a climatic health resort. This was due to the exceptional characteristics of Lošinj micro-climate. Our little paradise, so called by the locals, is famous for it’s amazing fresh air, delightful temperatures, crystal clear sea, more than 200 sunny days per year, thick pine forests and about 1018 plants of which 230 medical herbs and 80 exotic plants. Today, Lošinj is Croatia’s leading destination offering ideal conditions for allergy sufferers, improving respiratory health and aiding physical and psychological recovery. The price of the summer camp is formed according to the accommodation in four stars apartments. They mostly belong to the local residents that put a lot of effort in creating comfortable and enjoyable accommodation that we personally choose in collaboration with our partner agencies. If you wish higher level of comfort, we can organize accommodation in four and five stars hotels, private houses and villas. In that case, we modify the price according to the price of the accommodation. IBAN HR8524020061100782143 Erste&Steiermärkische Bank d.d. After the payment is registered, you will get an email confirmation and a bill. Upon check in, you present the confirmation and pay the rest of the fee after which you get a bill. This camp will be such an amazing and unique experience and it will be my great pleasure to share it with all of you! There are two trainings each day, that we’ve placed on the most beautiful natural locations of Lošinj. After training hard, shoulder to shoulder with your brothers and friends, you just run and jump in the crystal clear sea, immediately refreshing and recovering your energy. We’ve prepared for you several lectures that will cover topics like: proper conditioning, developing speed and power, recuperation of specific muscle groups etc. Our goal is to share the ideas and then have the open discussions where everybody contributes in raising the awareness of thinking outside of the box and adopting new concepts of training. Each day, from 12h to 19h, you are free to relax, go to the beach, let your impressions sink in, enjoy nice restaurant or do whatever makes you feel happy. However, if you want to use your free time to be active, our partner agencies will help you book boat tours, rent bikes, organise kayak trips and provide you with hiking maps. On the fourth day, we organise a group tour on the private boat and lunch on board. The tour takes us to three of the most famous islands from Lošinj archipelago, each one renowned for it’s outstanding natural beauty. Martin Medvec is an ex law enforcement officer with over 30 years experiences in the combat systems. His specializations are: using knife in combat, combat shooting (short and long firearms) and tactics in high risk situations. Martin is also the founder of the SFEG weapons combat system. 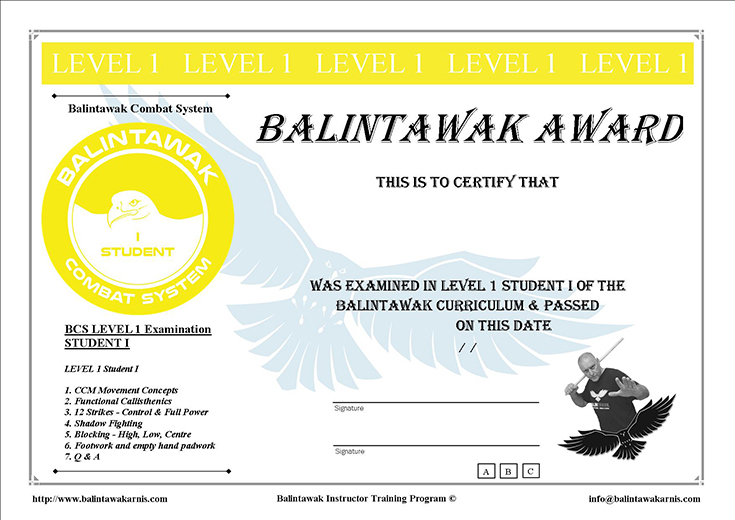 Daniel started training martial arts back in 1995 and for more than 10 years, he is studying Balintawak system under Rich Cotterill. He is a 2014 European no gi champion under the IBJJF rules and a founder of Mac Tirol martial art club. Daniel also has a 10 year experience working as a police officer and correction unit officer. He is Richard's representative and coach in Austria. Since an early age, Radek started studying martial arts such as: Kung Fu, Aikido, Kickbox, Musado, Ikaef, Modern Arnis, FCS, SSBD, Balintawak, B3 and SFEG. He is very passionate about knife fighting and a renowned knife maker. Radek is the founder of the Valhalla Club in Prague and he is currently teaching in 4 different cities in Czech. For the last 15 years, Atilla was Hungarian representative of FCS Kali system. He is creator of the JM self - protection and JM strength training program. Since 2012, he is Kettlebell/Girya & functional training instructor. Atilla is also Krav Maga expert and civilian and law enforcement instructor. 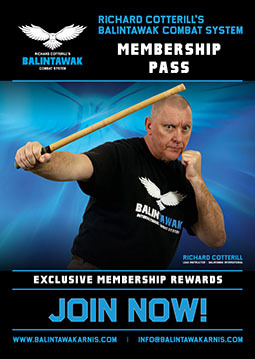 He is Rich Cotterill's Balintawak representative and coordinator in Hungary. In 1984, Steven started training in the traditional Japanese arts such as Ju-Jitsu, Judo and Karate do. He is 7th Dan black belt in Kempo Ju-Jutsu and 6th Dan black belt in Kempo Kick-Jutsu. Steve is former British Full Contact Kick Boxing and Kick - Jutsu champion and international competitor. 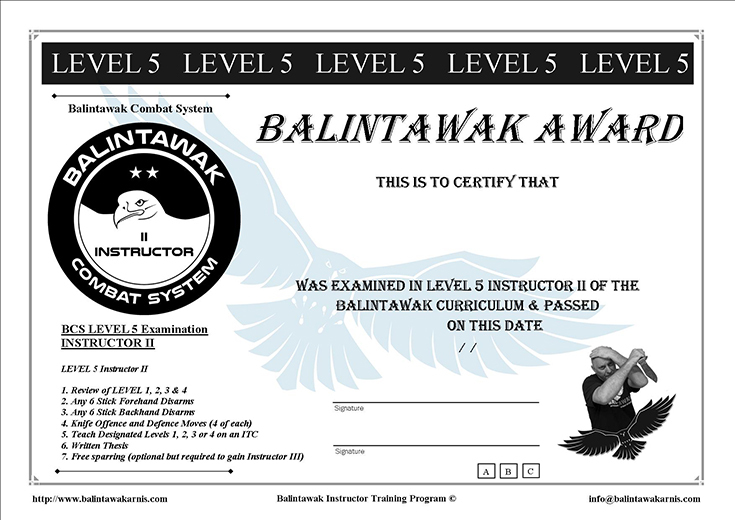 He is Balintawak Full Qualified Instructor under GM Bobby Taboada and Richard's coach and representative in UK. Vicente is a Spanish Coach and representative for Richard's Balintawak Combat system. He has been training Filipino Martial Arts for 20 years. His philosophy of training is that there are 3 main steps in the triangle of learning. The 1st one is learning the concepts and techniques, the 2nd one is development and integration of the concepts, which means making the most of it and be able to apply that first step under any circumstances, and the 3rd and no less important is fighting. We need to develop timing and motion with a no cooperative partner, apart from being able to cope with the pain sensation whilst in fighting. These 3 steps are equally important. We cannot forget to work with all of them or we will not improve our fighting skills and our understanding of real fighting. Pep Padovano is all about training smart! As a professional coach with more than 40 years of training and teaching experience, he came to the conclusion that how we learn is as important as what we learn. Partner routines and training practices which stimulate our reflex, hand/eye coordination and problem solving skills should sit alongside programmes that condition our cardio/respiratory systems. Training should be fun, difficult and progressive with the emphasis on personal development. The itinerary as well as the timetable of the program can changed according to the weather conditions and/or uncontrollable factors. In that case, we will modify the itinerary in the best possible way so you don’t lose any of the experience. Early bird until April 1st. 2019. The total amount for the Training Workshops, you pay directly here: https://balintawakarnis.com/events/seminars/b3-combat-summer-camp-2019.html (small admin fee applicable), according to the early bird date. After the payment is registered, you will get an email confirmation that will serve you as an entrance ticket upon check in.